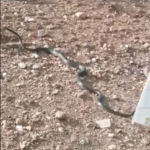 The two and a half metre long black mamba that was captured in the world famous Joe’s Beerhouse Restaurant on Saturday, was set free in the veldt on a farm outside Windhoek shortly after. Francois Theart, the snake specialist who caught and removed the snake, said he suspects that the huge mamba crawled under the roof to get away from the hot sun. Theart said it is very dry and there is almost no standing water in the bushes where snakes and other animals normally quench their thirst. Theart said the black mamba is the largest venomous snake in Africa. It is mainly active during the day, when it hunts for food. The snakes are shy and are quick to move away when they sense danger. She said it the priority of the restaurant’s management was to avoid panic and thus scaring the snake to go into hiding or even worse to attack a person. Theart said when mambas feel threatened they will gape their mouths exposing the black inner lining inside and will spread a small narrow hood. These are highly venomous snakes and are easily identified by their long slender coffin shaped heads, light-gunmetal grey colour and the black insides of their mouths. 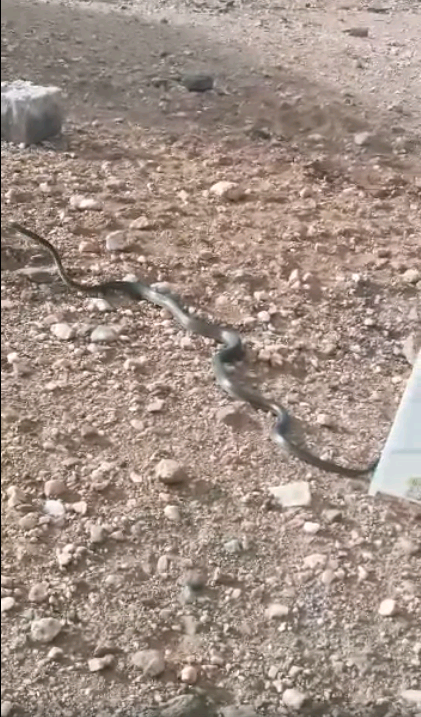 Video: The huge black mamba was set free on a farm on the outskirts of Windhoek shortly after a snake specialist removed it from the world famous Joe’s Beer house restaurant in Windhoek on Saturday. Video provided by Francois Theart.